The guilty verdict handed to Mexican drug boss Joaquin "El Chapo" Guzman should teach those tempted by crime that "real happiness is not money," Mexican President Andres Manuel Lopez Obrador said Wednesday. A U.S. jury on Tuesday found Guzman guilty on 10 counts, including trafficking tens of thousands of kilograms of drugs into the country. He is expected to spend the rest of his life in prison. At the trial, witnesses said that former Mexican presidents, including Lopez Obrador's predecessor Enrique Pena Nieto, and security officials had taken bribes from Guzman's Sinaloa cartel. The president said such allegations would be investigated if a formal complaint was made, but that he preferred to "look ahead" and to launch "a new phase, without corruption, without impunity." "I would like those who take these paths (of crime) to reconsider and to think that freedom is a very precious gift," Lopez Obrador said at his daily news conference. "May (the Guzman verdict) be a teaching, may it be a lesson, to think that real happiness is not money, is not something material, is not cheap luxury, is not fame," said the leftist president, who took office Dec. 1. After his conviction on Tuesday, Guzman is likely headed to the U.S. federal government's "Supermax" prison in Florence, Colorado, also known as ADX for "administrative maximum," experts say. 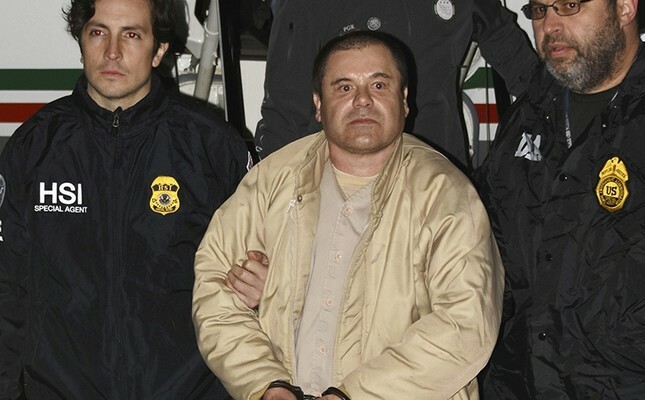 Guzman has an unparalleled record of jailbreaks, having escaped two high-security Mexican prisons before his ultimate capture and extradition to the United States. "El Chapo fits the bill perfectly" for the maximum security prison, said Cameron Lindsay, a retired warden who ran three federal lockups, including the Metropolitan Detention Center in Brooklyn. "I'd be absolutely shocked if he's not sent to the ADX."